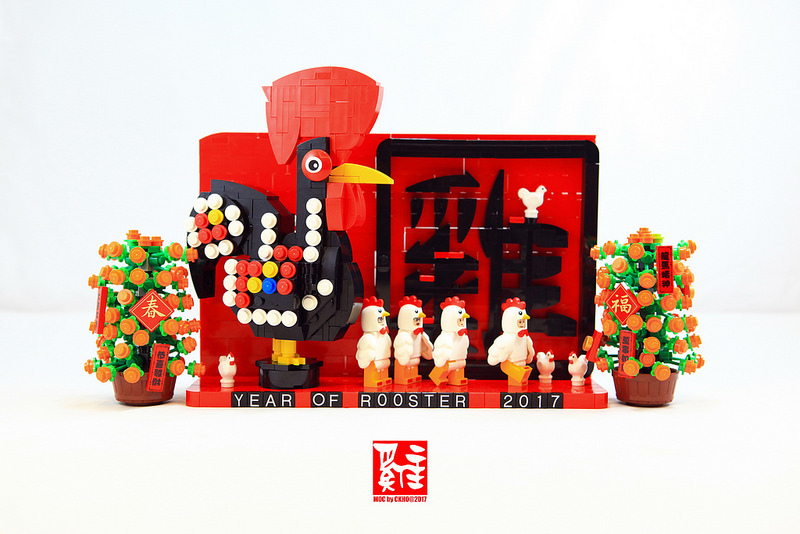 Builder Samuel Ho celebrates the Year of the Rooster this Chinese New Year with a little table standee featuring none other that this year’s zodiac animal, the Rooster! The build features a few other key elements to highlight the celebration of a new year in many parts of Asia and around the world. Red is the color for the New Year symbolizing joy and fortune. The potted plants featured on both sides are mandarin oranges, which are also symbolic of good fortune and abundance. If you’ve not guessed it yet, the characters translate to “Chicken” in Traditional Chinese characters.